Why is she in Berlin???? I checked Google and unless there have been renovations, it doesn't seem like it. emmawatson daily says this restaurant is called cecconi. Eden there's a new photo of Emma circulating the Internet, do you know where it's from? Taken in Berlin in Brühl's restaurant Bar Raval am Kreuzberg. But they are new photos or old photos(when was the Colonia premiere in berlin)? "I think her hair is a little more blonde, at least some highlights, what do you think Eden? She's beautiful either way"
It does look like she went back to blonde. Could just be the light of the restaurant though. "Taken in Berlin in Brühl's restaurant Bar Raval am Kreuzberg." They were taken at Cecconi's, another Anon posted it, and looking through Google, it does correspond. "But they are new photos or old photos(when was the Colonia premiere in berlin)?" The date is in the title. All things considered I would rather be in Berlin sipping wine 🍷 with Emma. She does get about is interesting to speculate on what might be happening. They did work closely (lucky man)on Colonia which was a couple years ago so does suggest they are friends keeping in touch. As for not posting those private pics, good call Eden! I have been in Bar Raval and the deco is the same. Time was she would have just posted she was having lunch with a friend these days she can't. 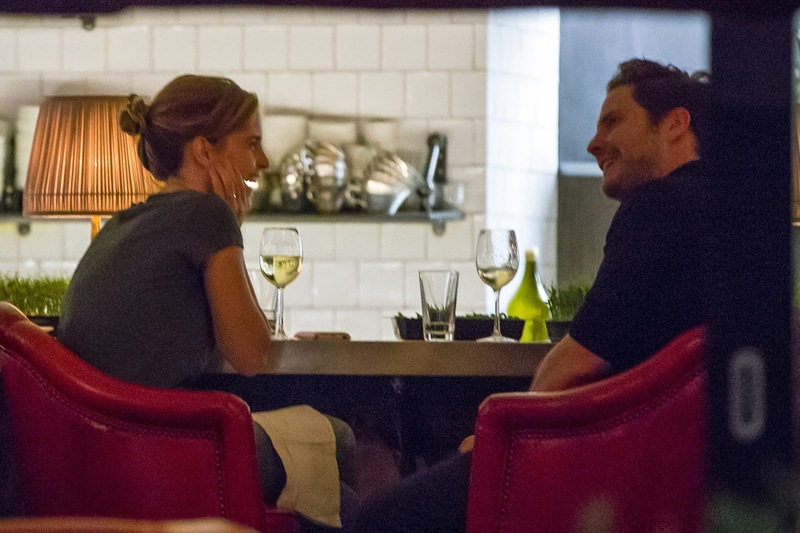 I like Daniel Bruhl and I'm glad they have remained friends after Colonia, which I enjoyed btw. Interesting Colonia is being shown has part of the German film festival. Could be relevant or not to the meeting.